Donn Leson grew up in the high desert ranch country of Eastern Oregon, where his parents owned a saddle and harness shop. He spent his summer vacations in the saddle, learning practical horsemanship skills from the last of a dying breed of cowboy. He began working with leather in his parents' shop at the age of 10.In 1966, Donn opened his own saddleshop. 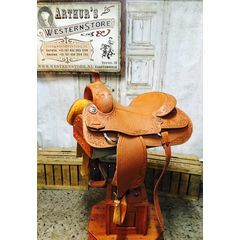 He primarily made saddles for the rodeo and working cowboy who needed a saddle that could be ridden all day without soring either the cowboy or the horse. He eventually specialized in saddles for the professional trainer and serious horse show enthusiast. Originally, Donn focused on making cowhorse and cutting horse saddles as well as pleasure horse saddles that combined unparalleled beauty and performance. Later, he introduced a close-contact reining horse saddle which, since 1993, has dominated NRHA events and redefined the way reining saddles are made today. More Than 50 Major Championships Won Leson Saddles has been fortunate to build saddles for the most knowledgeable and successful trainers in the industry. Our customer list is impressive. 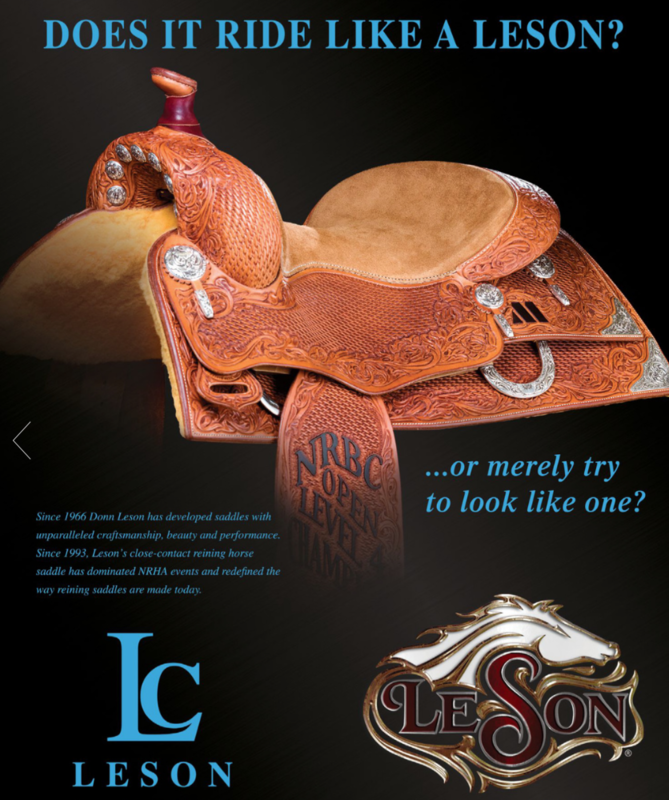 More than 50 major championships have been won on Leson saddles including 30 AQHA World Championships in the last decade, the NRCHA Snaffle Bit Futurity and the NCHA Futurity and Superstakes, and four NRHA Open Futurity Championships and two Reserve Championships in only six years.